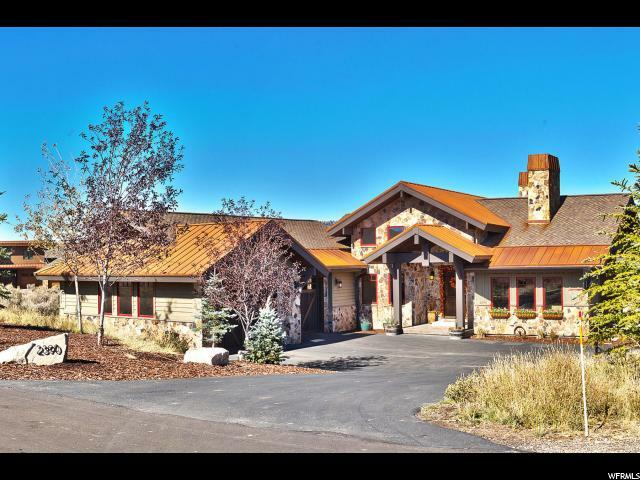 All THE HOMESTEADS homes currently listed for sale in Park City as of 04/19/2019 are shown below. You can change the search criteria at any time by pressing the 'Change Search' button below. "Step into the spaciousness of this lovely home & enjoy hardwood & natural stone floors, a massive floor to ceiling rock fireplace and home is filled with an abundance of natural light.The gourmet kitchen boasts Thermador appliances, copper farm sink, gorgeous granite counter tops and oversized island. Main floor Master bedroom has a fireplace and large bath with jetted tub.Also on main floor is a guest en-suite or a study. Downstairs level offers a walk-out, 2 bedrooms which are en-suite, oversized family room, wet bar, wine room and theatre/exercise room. Walk out from the lower to a terraced back yard and warm up with the out-door fire-pit. Property back's up to acre's of open space to enjoy viewing the wildlife. The garage is over 1800 s.f. and offers plenty of room for vehicles and all your toys. It also comes with a sink-hot and cold water and a gas furnace. Home also offers: 2 A/C units and 2 furnaces to better regulate each floor living area. "